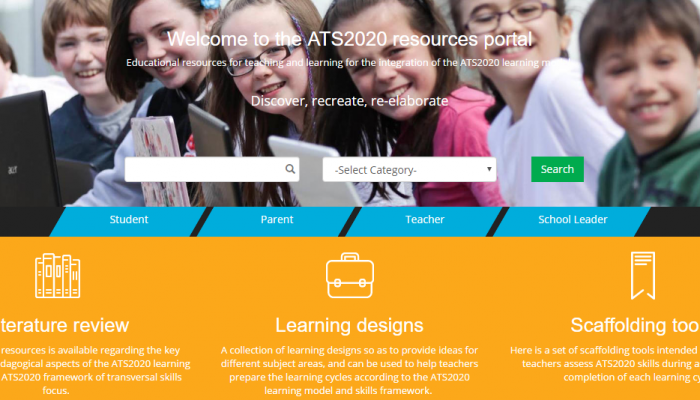 With respect to the ATS2020 resource portal, "resource administrators" can be created for each country. Resource administrators will be able to upload new resources or edit existing ones. Attached you can find a guide for the resource portal. The guide gives an overview of the Resource administrators dashboard, and describes the workflow that is followed, in order to< upload a new resource or edit an existing one. In addition, we have created an excel file with all the informations needed for a resource to be uploaded (see attached file). This template file, can be send from the "Resource administrators" to the teachers of his country who have resources to be uploaded. Once the "Resource administrator" receives any resources from a teacher, he can check for any inappropriate content before uploading the resource to the portal, using the info from the excel. If you have any issues or questions please contact Afroditi Stefanou (stefanou.a@cyearn.pi.ac.cy) or Nicolas Kanaris (Kanaris.n@cyearn.pi.ac.cy).